Daemond Arrindell is a poet, performer, and teaching artist. 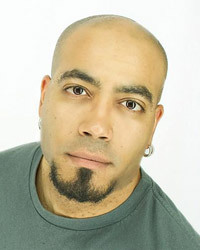 Faculty member of Freehold Theatre and co-facilitator of poetry and theater residencies at Monroe Correctional Complex for men; Writer-In-Residence through Seattle Arts & Lectures' Writers in the Schools Program; and in the fall of 2012, he taught Seattle University's first course in Slam Poetry. He has performed in venues across the country and has been repeatedly commissioned by both Seattle and Bellevue Arts Museums. In 2013, he was selected for the Jack Straw Writers program, published in Specter magazine and was selected for "13 for ë13," a joint project between the Seattle Times and KUOW profiling thirteen influential people in Seattle's art scene.